Using text as pattern is a trend right now that I really love. Your challenge is to use text as nonsense - not to read but as pattern on your project! Of course you can still have words or sentiments, but we also need to see text used in a non-reading way. I have a stack of old books and dictionaries that I use for this purpose. Our sponsor is Stamp Attack, a British company that is well known (among other things) for their fantastic Alice stamp plates which have sold to customers all over the world. 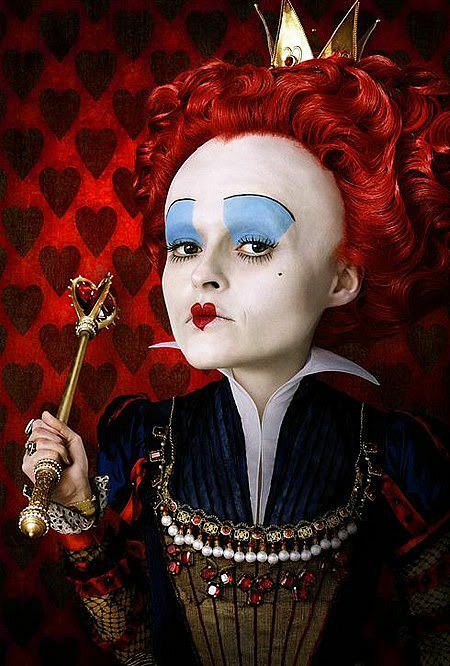 In fact, Helena Bonham Carter, the actress who played the Red Queen in the Tim Burton Alice movie, purchased sets of Alice stamps from Stamp Attack, which were then delivered to the studio! Enabler alert: Stamp Attack offers speedy worldwide shipping for only £1 on unmounted stamp orders, so go on and check out their beautiful stamps! The winner will receive a Stamp Attack gift certificate for £13.50, which is equivalent to one of the stamp plates that the design team will be using! 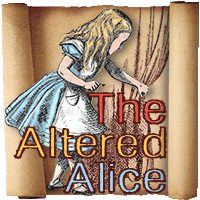 You have until Friday, September 23 to enter your creation at The Altered Alice and the winner and honorable mentions will be announced on the last Sunday of the month, September 25. All kinds of projects are welcome, they do not have to be "altered art" and as always, entries that feature some aspect of Wonderland are given two chances instead of one in the random prize drawing. You may enter multiple times as long as each project is on a separate post.